“No words can describe the heartwarming stories in Stephen Murray’s book. While each of the wedding stories took place on one particular day, the care given to the development of each character is usually reserved for a full-length novel about one particular couple. 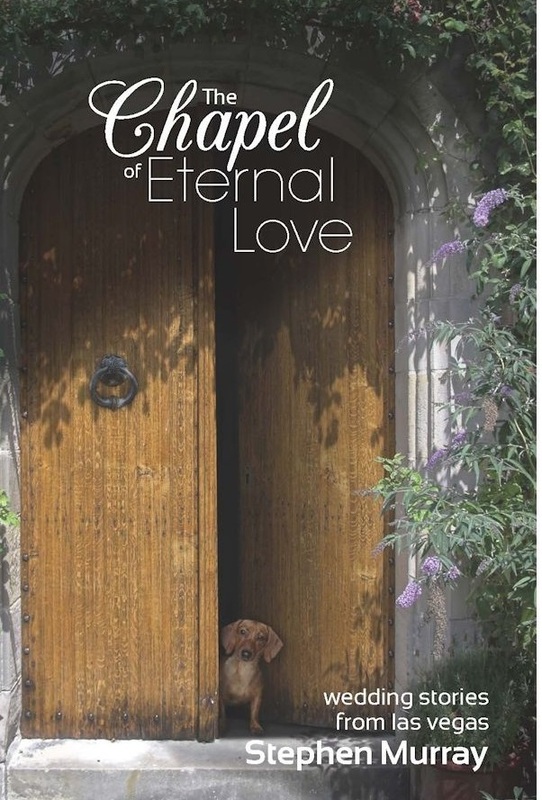 “Stephen Murray’s The Chapel of Eternal Love is a well-crafted character-driven collection of stories exploring how couples fall in love and why they decide to marry. Many of the stories have a light and humorous side. However, others strike a tender, heartbreaking chord. The subtle transitions from one love story to another allow for connections to exist among some of the characters. The stories also make clever use of irony in how the characters meet and how the dalliances of their romances play out. The most impressive aspect of this collection is the care in which Murray charts the many ups and downs of the couples on the road to finding their match. His fine writing demonstrates a literary flair and frequent sparks of brilliance. 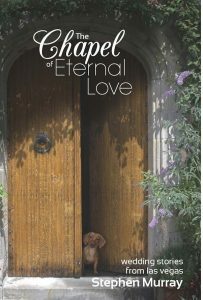 “In The Chapel of Eternal Love, we are invited to witness a number of marriages and discover a little of each couple’s background and what preceded each of their decisions to come to the chapel. Their stories are tender, touching, fun, romantic and sometimes sad. All of the couples are welcomed by Rosemary and Buster. Some are obvious in their love and devotion, some leave Rosemary wondering if they stand a chance; all are given her devoted attention and assistance. Stephen’s short love stories are touching and are wonderful examples of what the world truly can offer in the way of relationships. 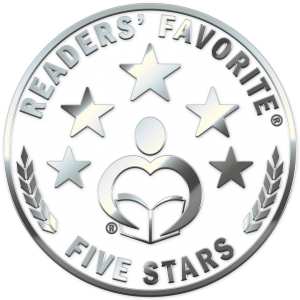 The characters he has created bring a sense of emotional warmth to your heart…in most cases. One would think that Las Vegas marriages are carried out in drunken stupors. Not so. Some of the people you will meet in his books are true soul mates. “This amazing sequel is as memorable as the original. 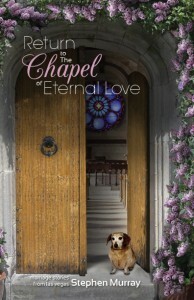 Once again, In Return to the Chapel of Eternal Love is full of emotion and joy as well as some heartache. There are some surprises as we revisit these couples and see where their lives have taken them five years after their wedding day. “…another heart-warmingly, gentle romance that is like nothing else out there. Having read the first book of unique fictional wedding stories, I was very excited to read the sequel. Just as in The Chapel of Eternal Love, there are joys and sorrows, laughter and tears. Murray elegantly takes readers on a journey of discovery right alongside the characters. 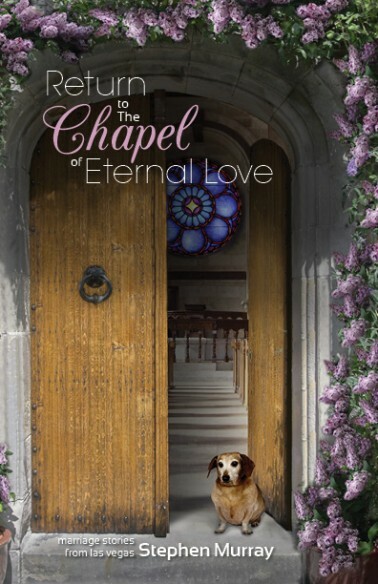 In Return to the Chapel of Eternal Love, the characters take a quick, yet powerful, trip down memory lane when the current pastor, Father Mark Roads, contacts them out of the blue. There’s a compelling reason that calls them to return to the chapel. “Return to the Chapel of Eternal Love: Marriage Stories from Las Vegas presents with a cute, genre-appropriate cover image. It does a great job of setting the tone for the story. Nice job. I have to say that I loved the premise for this book from the first second I read it. What a cute idea! I don’t know if anyone has thought of this before, but if they have, I haven’t read it. Unique. Smart. Clever. Pure fun. Those are just some of the words I’d use to describe this plot. Great story appeal and a nice little escape for any reader who needs just this very thing to entertain and brighten their day. I really enjoyed this book from cover to cover. A sweet little journey down memory lane.